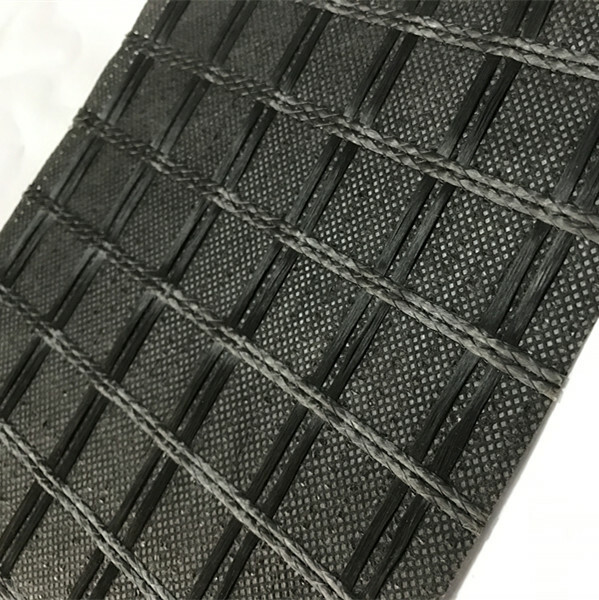 Impregnated Bitumen Geocomposite Geogrid is geogrid reinforcing Geotextile,it`s a flexible, composite reinforcement grid comprising high modulus fiberglass grid or polyester grid combined with an ultra light Nonwoven Geotextile. Coated with bitumen, this composite creates a strong bond with asphalt that allows its tensile strength and distribute loads over a greater area. It`s the best solution for reflective cracking. There is one significant enhancement compared to the regular geogrid products: the non-woven fabric layer is saturated with bitumen in order to provide an effective moisture barrier. Looking for ideal Geocomposite Fiberglass Geogrid Manufacturer & supplier ? We have a wide selection at great prices to help you get creative. All the Impregnated Bitumen Geocomposite Geotextile are quality guaranteed. We are China Origin Factory of Bitumen Geocomposite Geogrid. If you have any question, please feel free to contact us.